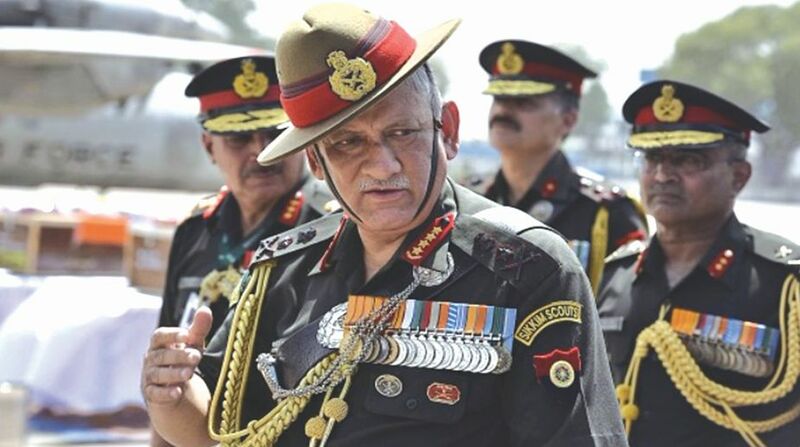 The recent comments of the army chief stating that ‘the time has not come for any rethink on the Armed Forces Special Powers Act (AFSPA)’, at a press conference last week has drawn criticism from many quarters, including editorials in leading newspapers. He was accused of crossing his limits as the head of the organisation and commenting on topics beyond his domain. In the immediate aftermath of his statement came the incident at Shopian, where the army had to fire in self-defence resulting in two deaths. An FIR was registered with the army giving its own justification. Despite the direction the probe may take and its outcome, the fact is that even with AFSPA all incidents would have to be investigated. AFSPA is back in the limelight after reports that the Home and Defence Ministries are re-examining demands for a milder version of the act. The government is seeking to remove or dilute some aspects of the act, basically Sections 4 and 7. Demands for this have flowed from the states that had themselves desired its imposition, as it is the states which recommends imposition, not the army. The army only advises. The comment made by the army chief was, ‘AFSPA is an enabling provision which allows the army to operate in such difficult areas and the army has maintained a good human rights record.’ The reality is that the army has never applied the force which has been granted to it under this act, solely considering collateral damage and concern for human rights. It has fought terrorists with its hands tied. Every other nation battling terrorists including Pakistan, Myanmar and Sri Lanka in our neighbourhood, Russia in Chechnya and those in South America and Africa have employed full military power including air and artillery. These have been done without concern to collateral damage. The US and Afghan forces in Afghanistan have followed the same pattern. India on the other hand has only used small arms. The army is the ultimate source of power of the nation. It is only brought in when other elements of force including the Central Armed Police Forces (CAPFs) have been unable to gain control over a situation. The army cannot be allowed to fail, as there is no greater source of power available to the nation to regain control. The army is inducted on the orders of the government. Once directions have been given, deployment and employment remain that of the army. In such environments, the army operates alone, employing its own tactics and methodology. AFSPA does not make the forces immune under law. Mistakes can lead to legal action; however, the power to sanction is with the Central government, which takes decisions based on the proof provided. The Supreme Court had also ruled in April 2017, after hearing cases of extra judicial killings in Manipur that every incident of death must be probed after registration of an FIR. The army is always treated as an occupier and specifically targeted. Despite all its positives, it remains so in parts of Jammu and Kashmir even today. Anti-national elements will always find it an option to trap the army in fake cases to impact morale and reduce its efficiency. In the Naxalite belt, while the UPA government did consider the army’s deployment, the army itself recommended that the situation could still be brought under control by CAPFs, hence was never deployed. However, to maintain a presence and be ready in case it was needed, it has been allotted a training area in the region, which it continues to occupy. Once deployed, it is for the government to decide if the situation is normal and can be maintained by normal law and order agencies. Once this decision is taken, the army reverts to barracks. This has happened in Tripura and Punjab. In North-eastern states, though the situation is much better and militancy under control, the state governments are unwilling to lift AFSPA, solely for enhanced security. However, till the Act remains in force, the forces need to be secured. If the government feels that the situation is normal it should withdraw the army, however its powers to operate under such situations should not be diluted. The recent incident in Shopian has indicated how delicate the situation continues to remain in the valley. A hasty decision on AFSPA, including diluting its provisions would place the army under severe duress, restricting its ability to ensure success. Chief Minister Mehbooba Mufti, despite her registering an FIR, also stated that the time is not right for lifting AFSPA. She is aware that if army presence is reduced, militancy would rebound. When Major Gogoi, surrounded by a mob of stone pelters, saved his men and prevented casualties during the last Lok Sabha elections, by tying an individual to his jeep, he was accused of violating human rights. This time, when the men surrounded by a mob, opened fire in self-defence, they were accused of a crime and an FIR registered. Therefore, it is evident that the army is a scapegoat in such areas. It is to the credit of the army that it has evolved methodologies aimed at battling militancy in both rural and urban areas, specific for the nature of terrain and region. The men are trained in operations, respecting human rights and local customs. However, they are not trained to fire in the air, as the police does, nor use pellet guns or batons, as desired by Mehbooba. The day the Army does so, it would be as effective as those whom it has been brought in to replace. The army chief should express his concerns to the nation through the media on issues impacting the efficiency of his force. He is responsible for their actions, safety and security. Personally, he is neither a politician seeking votes nor is he criticising the government on its decisions but conveying the thoughts of the organisation. They should be respected, because behind all his views, it is the nation that comes first. The writer is a retired Major General of the Indian Army.